If your body is craving something healthy and tasty, but there is no room for cooking in your overcrowded schedule, it is time to give meal delivery services a shot. Check out our Dinnerly VS Marley Spoon comparison and find out which one to trust with taking care of your diet. Enjoy amazing meals, hassle-free! Marley Spoon is a meal kit delivery that brings you world-famous recipes created by Martha Stewart, transformed into 6-step instructions everyone can follow. Along with the recipes, you get flavor-packed, farm-fresh, pre-measured ingredients. 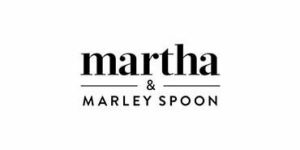 Discover more in our honest review of the service and 50+ customer-written Martha and Marley Spoon reviews.